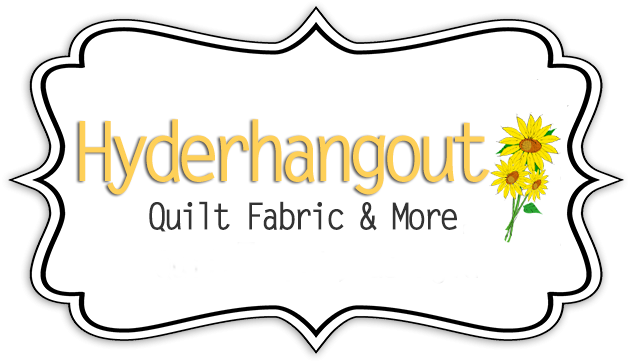 To date we at Hyderhangout have collected 142 pillowcases. Many charitable organizations benefit from the work of quilters. If there is a need, you can almost bet a quilter will find a way to help. While searching for information on charities, I found many good ones that I could identify with. Quilts4Japan is one of the most recent charities to step up to the plate. After the earthquake and tsunami on March 10 of this year and the continuing nuclear meltdown threat, many homeless individuals are in need, and this organization is helping to fill that need. A quilt is warmth, comfort and can also be used as a pillow. It's a small piece of comfort in an otherwise unbearable situation. Project Linus is probably a name you have heard before in the quilting community. Many quilting guilds support its efforts to place quilts in the hands of children who are in need. Project Linus' mission "is to provide love, a sense of security, warmth and comfort to children who are seriously ill, traumatized, or otherwise in need through the gifts of new, handmade blankets and afghans." According to ProjectLinus.org,they have distributed over three million blankets to children since 1995. This organization will accept any new handmade blanket whether knitted, crocheted or quilted. There are also groups that help wounded soldiers like Quilts of Valor and American Hero Quilts, just to name a few. I can't say enough about these groups. A quilt is a small gift compared to the gift American soldiers have given us. A quilt is one way to let soldiers know what they do is important, and we do appreciate it. Many deserving causes are out there. Quilter's Dream sponsors Hopes and Dreams, a challenge to benefit ALS (aka, Lou Gerig's disease). AAQI is a quilt project that raises funds for Alzheimer's research. Autism Speaks helps raise awareness and fund research for autism. I haven't mentioned all the other wonderful charities out there; it would take way more space than I have. Numerous small regional groups that quilt for charity have popped up too. Research causes in your area, and I am sure you will find many good organizations that would gladly take your quilts or your time. We all have something that is near and dear to our hearts. You can make a difference if that is what you want to do. 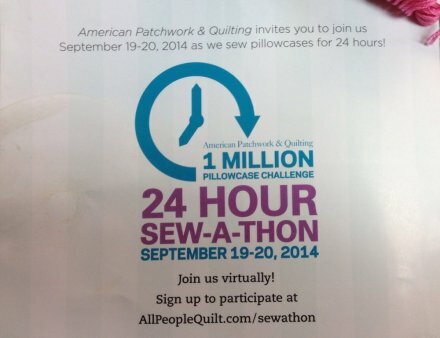 Many fabric companies create fabrics for causes. A percentage of the sale of these fabrics goes to the cause they are promoting. There are fabrics for breast, ovarian, colon, skin and prostate cancer. Leukemia, lupus, autism and multiple sclerosis also have fabrics. There are pages and pages of sources online listing fabrics for causes. Many of these quilting groups only request certain colors, and some will take whatever you make.